About me - susumuokajima's JimdoPage! 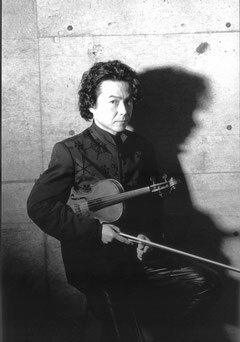 Susumu, born in Sapporo, Japan, started violin at age 3 with violin masters such as Masao & Tsuneko Araya at Sapporo Conservatory of Music and Isako Shinozaki in Tokyo. Since 1991, he has regularly studied with international violinists such as Rodney Friend at the Royal College of Music in London and Ivry Gitlis in Paris. Susumu has ever actively performed in Japan, France, England, Spain and Germany. His vast repertoire spans from the early romantic to the avant-gardes. His Violin is 1817 Lorenzo Ventapane, Naple.